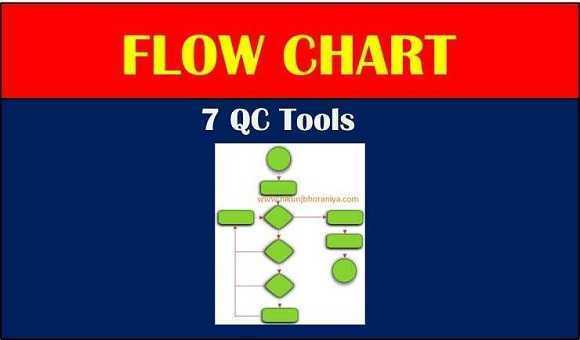 Flow Chart | Process Flow Diagram | What is Flow Chart in 7 QC tools? 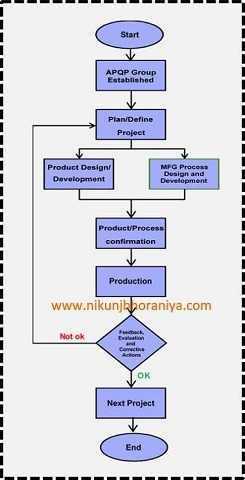 → Flow Chart is also known by the Process Flow Diagram. → Flow Chart in 7 QC Tools is a diagrammatic representation that illustrates the sequence of operations to be performed to get the desired result. 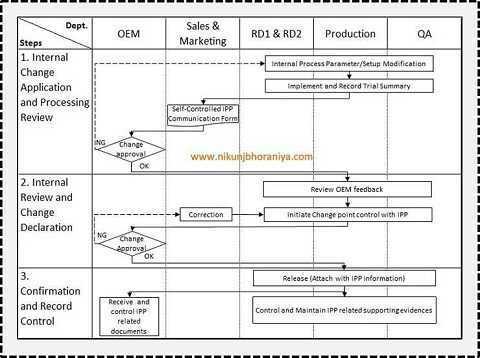 → Flow Chart (Process Flow Diagram) is a diagrammatic representation that illustrates the sequence of operations to be performed to get the desired result. 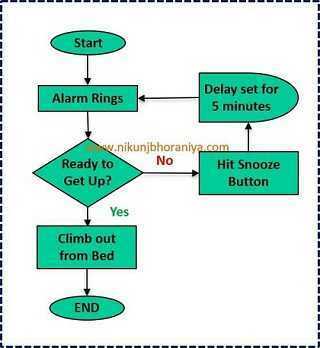 → As per Wikipedia, a flowchart is a type of diagram that represents an algorithm, workflow or process. → The flowchart shows the steps as boxes of various kinds, and their order by connecting the boxes with arrows. → Also used for the auditing process. → 1960: The American National Symbols Institute (ANSI) set standards for Flow Charts and their symbols in the 1960s. → 1970: The International Organizations for Standardization (ISO) adopted the ANSI symbols in 1970. → 1985: The current standard was revised in 1985. → The process needs to start from top to down, from left to right. → Flow Chart (Process Flow Diagram) graph size needs to be the same. → The start symbol only appears once, but end symbol can use more. → There is only one arrow path graph for the same path. → The line should avoid the cross, if need crossed should be used across the graph. → This symbol is used for Start and End activity. → This symbol shows the order of operation. → For decision making, we can use a diamond. → This symbol uses for an operation that changes the value. → This symbol is used for input and output data. → For marking comment we can use this symbol. → This is a single document symbol in any process. → This symbol is used for multiple documents. → For delay activity, this symbol is used. Very good explanation it is very easy to understand. Learn more about flowchart diagrams with this Flowcharting Guide . Its a comprehensive flowchart tutorial about how to draw various types of flow diagrams, processes with swim-lanes. There are examples and templates to be used as well.